The magical setting that is the Podie Pie store. From the moment you step into her pop-up store with the intriguing name of ‘Podie Pie’, you are transported to something magical. 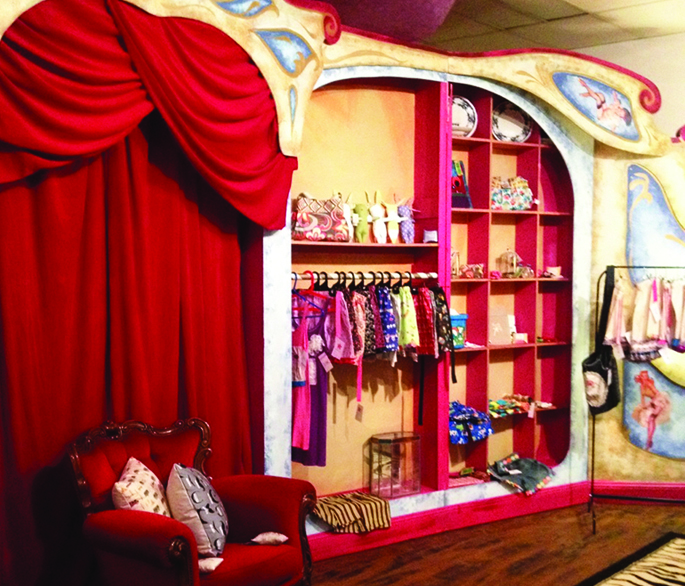 It’s no surprise to learn proprietor Jodie Swales is a children’s magician with a background in theatre. Having toured Australia and New Zealand with puppet, magic and anti-bullying school shows, Jodie embraces all things creative and applies her passion for seeking out and celebrating individuality and talents, encouraging others to do the same. This she has done in the Podie Pie shop where artists and craftspeople deliver handmade work in a scrumptious, pie-filled mix of clothes, jewellery and one-off pieces. So why the name Podie Pie? Jodie explains, “My niece calls me Podie — we have a very close relationship and have always inspired each other to follow our dreams; and my dad, who has given me an incredible life, always used to sing a nursery rhyme to me that said ‘Podie Pie’ so the philosophy behind the shop is to encourage and inspire others by using our collective talents and to celebrate the unique talents of the artists and to provide a space for like-minded people to engage in creative based workshops and classes”. Two of these artists are Jemica Ostrofski and Dusica Nikolic. Read on to find out more about their unique designs and environmental approaches. 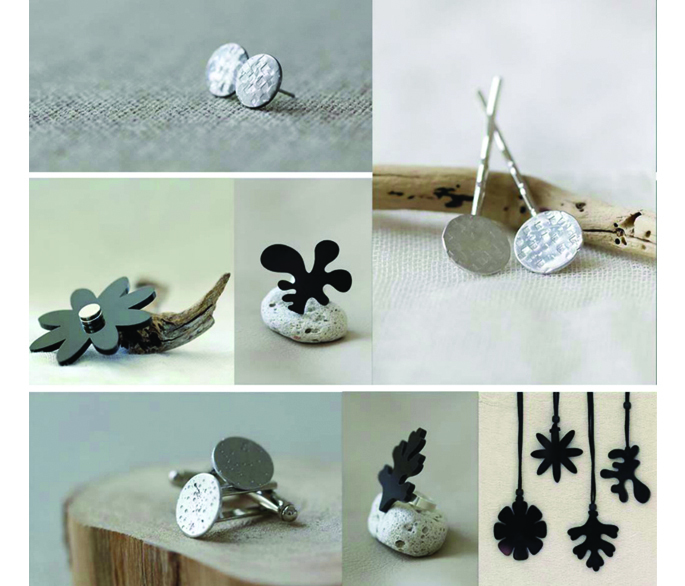 Dusica is known as Dee and her jewellery label is ‘Berty Bee’ for which she produces handmade sterling silver jewellery from her home studio. Dee states, “I am very conscious about the quality of materials I use when creating any of my art or jewellery and the impact it might have on the environment. Due to this, I only source materials from a reputable supplier who recycles and produces silver responsibly. Where possible, I always re-use and minimise waste. 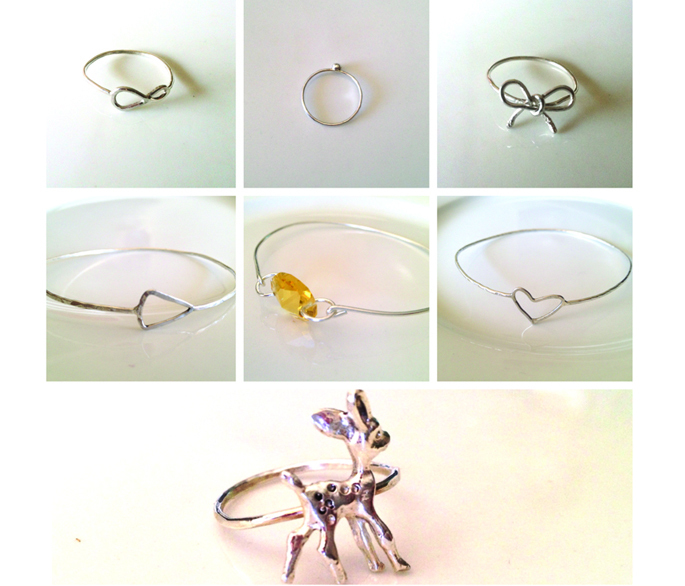 My favourite pieces are my thin and delicate rings. I have a simple taste in jewellery and have never been able to find rings dainty enough for my liking, so I decided to make them! I have been lucky enough to find them a home in the beautiful Podie Pie pop-up shop and online on etsy. It is great that there is so much support for independent makers and that people are more inclined to shop ethically these days”. Jemica Ostrofski’s label is Meekz Contemporary Jewellery. Holding a Bachelor of Fine Art with Honours, after majoring in Gold and Silversmithing, Jemica says, “the inspiration behind Meekz is to create contemporary pieces of costume jewellery and fashion jewellery that can be worn every day. An exploration into the built environment, society and design, the elements of line, shape and form are visually recognisable and provide a distinctive aesthetic throughout each collection”. Environmentally conscious, Jemica uses a wide range of recycled materials such as aluminium, perspex, plastic, stainless steel, brass, copper, gold and sterling silver. All pieces are handcrafted by Jemica and unique, whether as a one-off or part of a series, they are very durable when worn. Meekz Contemporary Jewellery: Collage of pieces; necklaces, brooches and rings. With this collective of jewellers producing handcrafted and recycled work, Podie Pie has delivered on its multiple intent – to bless the community by providing a beautiful, unique space for the public to visit and engage with; to provide exposure to the good arts and to highlight, for visitors interested in the work, the difference between handcrafted and mass-produced jewellery. The 17 or so artists represented in Podie Pie are from all corners of the globe. Podie Pie ships products internationally.